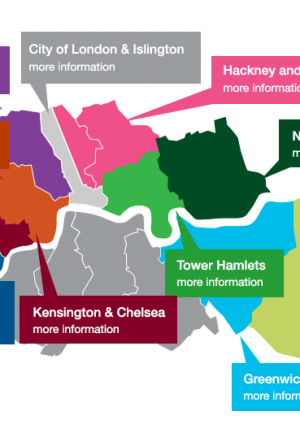 Crossrail is the largest infrastructure project in the UK and the largest single addition to the London transport network for over 50 years. 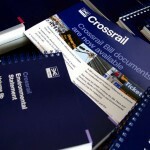 It is a complex programme of interrelated projects and works that need to be integrated to create the new rail service. 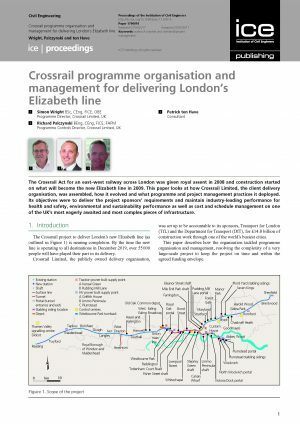 Crossrail Ltd (CRL) is responsible for development and delivery of the new infrastructure, in accordance with the requirements of the Sponsors, up to the point at which it is accepted by the long-term operators of the infrastructure. 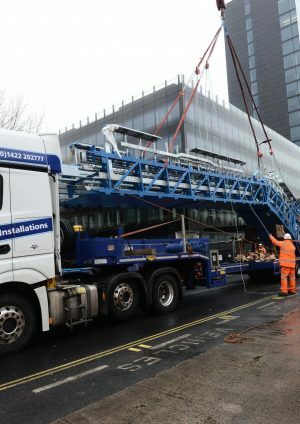 Crossrail developed a Delivery Strategy which defines how CRL is delivering Crossrail. 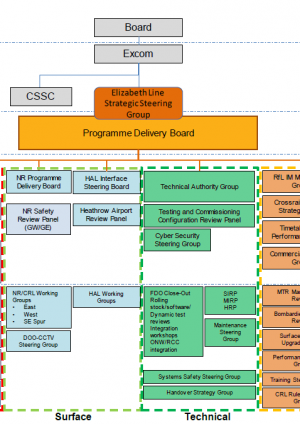 It is intended to provide a common purpose and clear direction for everyone and every organisation, particularly CRL’s staff and its partners, involved in the delivery of Crossrail and formed the basis for development of systems and procedures that would control the project. 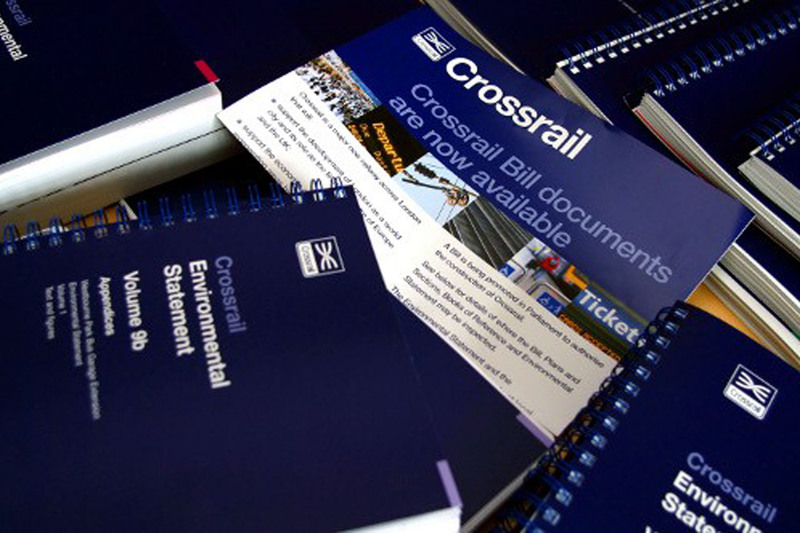 a finance and commercial organisation that allowed Crossrail Ltd. to operate as a company and support delivery of the programme. 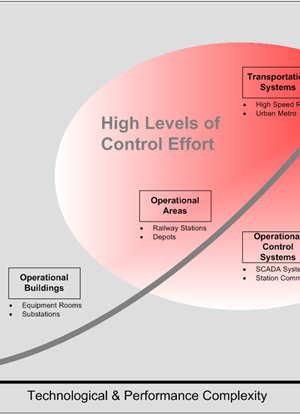 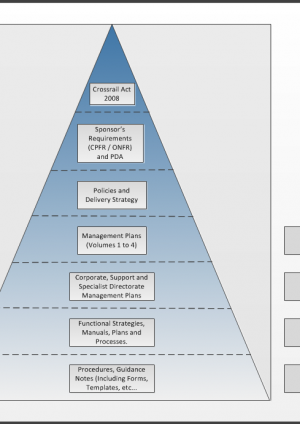 Within that model, however, the organisational structure changed and evolved over time from its initial procurement of design and construction contracts through major tunnelling and into fit-out, testing, commissioning and handover of the assured railway. 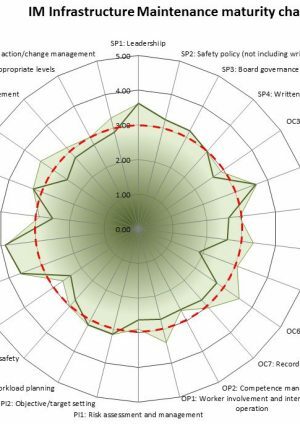 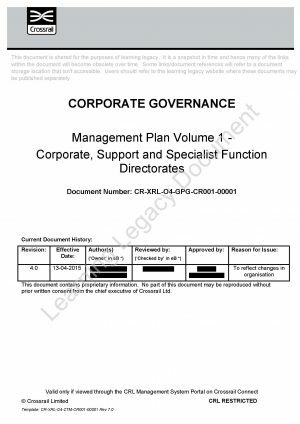 A learning legacy paper on the Delivery Organisation Evolution reviews the delivery model for the project and how the organisation evolved during the construction phase. 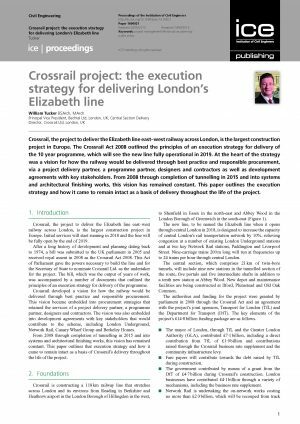 It identifies the key benefits and lessons learned by Crossrail and how it might influence future major infrastructure projects in developing an organisational structure best suited to address the particular driving factors over the life of the project. 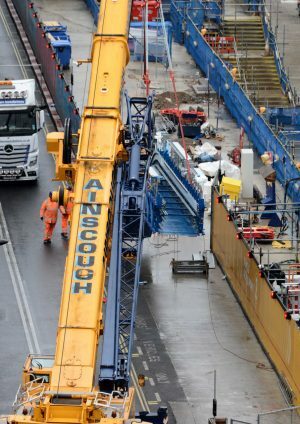 Crossrail identified logistics early on as a key priority and that it should be proactively managed such that the impacts outside the hoarding were treated with the same significance as those inside, requiring individual contractors to incorporate logistics practices into their normal working day. 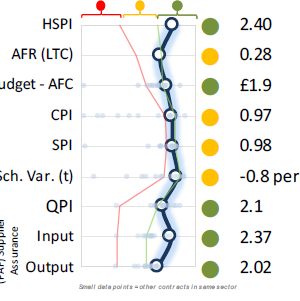 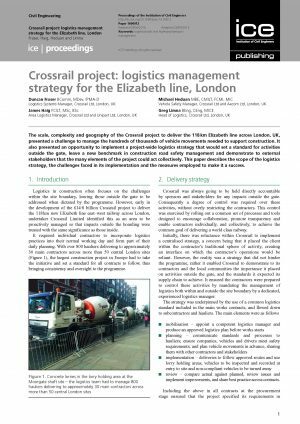 The learning legacy paper on Logistics provides an overview of the principles of Crossrail’s logistics strategy and how it was implemented, identifying the key challenges, lessons learned and how it continues to influence other projects and stakeholders.